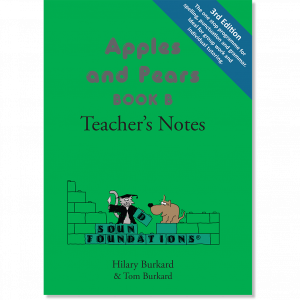 ISBN 9781905174263 (3rd edition) Pupils learn the correct use of the apostrophe for contractions and possessives at this level. 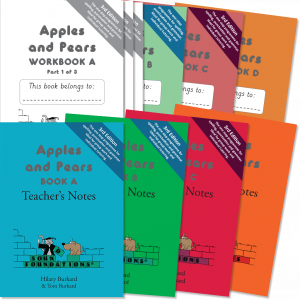 Split digraph or magic 'e' spellings are also taught. 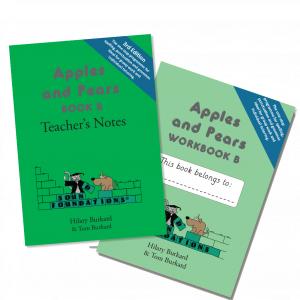 Apples and Pears B extends the morphemic strategy, teaching the pupil why we drop the 'e' from 'hope' when we write 'hoping', but not when we write 'hopeless'. It also covers the doubling rule, explaining why we double the 'r' in 'starring', but not in 'starless'. This page of dictation exercises shows the level of proficiency expected at the end of Apples and Pears Book B. 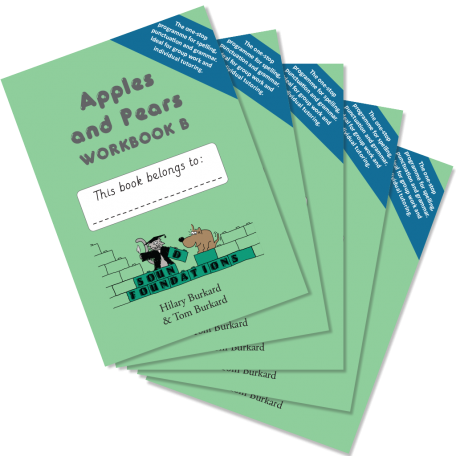 Cannot be used without Apples and Pears Workbook B.